As an active-duty servicemember or Veteran, you have access to one of the best mortgage products on the market — the VA home loan. It requires no down payment, no monthly mortgage insurance, and has lenient credit requirements. As of January 2019, 11 percent of all home-purchase loans were VA home loans. This VA mortgage calculator shows your overall buying power, including today’s current VA funding fees, estimated property taxes, and HOA dues. With zero down payment and no private mortgage insurance (PMI), you may be surprised at how much you can afford. Down payment. 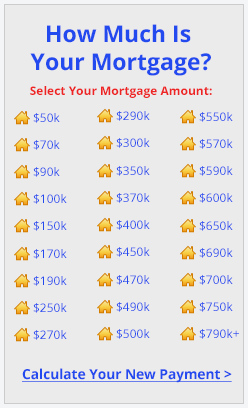 This is the amount you put towards the purchase of your home. 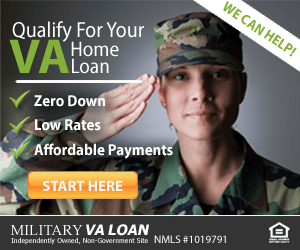 The VA requires no down payment, unlike other loan types, which generally require at least 3 to 10 percent. Funding fee. The VA requires an upfront, one-time funding fee payment to help sustain the program. It’s why lenders are able to offer zero-down loans with low rates. The fee is either wrapped into the loan amount or paid in cash at closing. Funding fee percentage. The percentage you’ll be charged will depend on down payment, type of service, and whether you’ve used a VA loan before. HOA/other. If you’re buying a condo or a home in a Planned Unit Development (PUD), you’ll likely be responsible for homeowners association (HOA) dues. Lenders factor in this cost when determining your debt-to-income ratio. Homeowners insurance. Lenders require you to insure your home from damages like fire. The fee is generally added to your monthly mortgage payment, and paid for you by the lender. Interest rate. The mortgage rate your lender charges for the loan. Shop around with multiple lenders to find the best rate for you. Loan term. The number of years you have to pay off the loan (assuming you haven’t made additional principal payments). Typical loan terms are 30 or 15 years. Principal and interest. The principal is what you’ll pay every month towards the loan balance, while the interest is the amount you pay your lender for lending you the money. Service type. The funding fee percentage changes based on the type of military service. Servicemembers in the Reserves have slightly higher fees than those who are active-duty. VA loan use. If you’ve used a VA loan to purchase or refinance a property previously, then higher funding fees will apply. Eligible military service — typically, two years active duty or six years in the Reserves/Guard. A credit score of 620 or higher, though some lenders may accept lower. The property meets VA minimum property requirements. These are general eligibility guidelines and much will depend on your unique situation. Interested homebuyers should confirm their eligibility with a VA lender. The current VA loan limit is $484,350, but in high-cost areas of the country that limit may be higher. For example, in Los Angeles County, California, the maximum loan amount is $726,525 with no down payment. To purchase a home that is priced higher than your area’s loan limits, you’ll need to make a down payment. If you’re a homebuyer with military experience, then see if a VA loan is the right mortgage product for you. Many active-duty servicemembers and Veterans are eligible to purchase a home with zero down payment and a low monthly payment — many just don’t know it yet. Click here to check your eligibility and get started.